fix rust holes with bed liner? Re: fix rust holes with bed liner? No that will not stop or slow the rust down. It will just make it much more difficult to fix properly later on down the road. 2002 ford ranger 4.0 liter v6. auto. Cherry bomb glasspack dumped in front of rear tire. 33x12.5 Firestone Destination tires. 3'' Body Lift. Dixie Airhorns. LED's . Bed cover. Skyjacker fender flares. Blacked out lights, Hella offroad lights,camo seat covers,american racing wheels. HID fog lights and headlights.k&n cold air intake. bed cover. you could try to get a quart of por15 paint that over the rust and then spray bedliner over it. 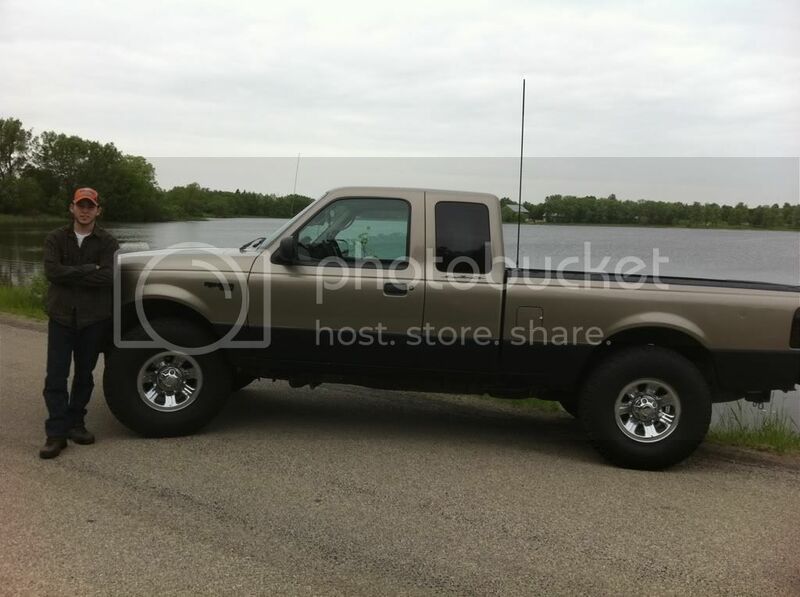 97 ranger, 4 cylinder 2.3 liter, automatic, 6 foot bed,regular cab, pioneer deh-3400ub headunit , kenwood door speakers.